In a perfect world, every tenant would peacefully occupy a dwelling until the end of her lease term and landlords would address tenant concerns right away. In the real world, various problems can arise that necessitate the early termination of a lease. California landlord-tenant law balances tenant needs against landlord protections and establishes guidelines for lease termination. If a landlord provides a fixed lease term, such as a one-year period, the lease is a binding contract and must be honored by both parties. 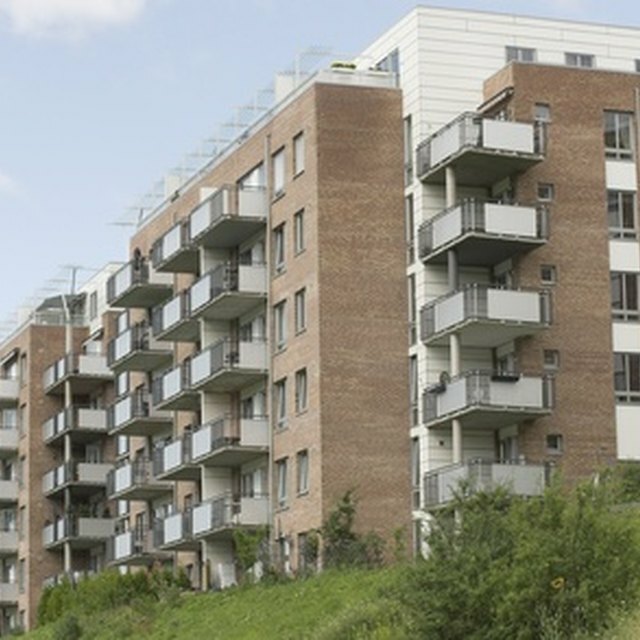 A landlord must show that tenants violated terms of the lease to prematurely terminate it. In a month-to-month tenancy, a landlord may provide a three-day notice of lease termination if tenants don’t pay rent, damage the rental property, are a substantial nuisance to other tenants, commit crimes in the unit or violate terms of the lease. Tenants in a periodic lease agreement must provide their landlord with notice that they intend to move out at least one rent cycle before they vacate the premises: If on a month-to-month lease, tenants must provide 30 days’ notice, while those in a week-to-week agreement must provide seven days’ advance notice. The California Supreme Court ruled that it’s the landlord’s responsibility to keep a rental unit habitable, providing heat, water and sewage services, weatherproofing and a safe structure. If defects that aren’t caused by a tenant and may interfere with a tenant’s health or safety aren’t addressed in a reasonable amount of time after a tenant provides written notice about them to a landlord, California law allows the tenant to abandon the lease. A landlord who wishes to end a periodic lease may do so without providing reasons to the tenant if he provides at least 60 days’ notice before the lease terminates. If the tenant has lived in the unit for less than a year or the property was sold to another party, landlords must only provide 30 days’ notice of lease termination. Upon receiving a termination notice, tenants have the stated period to move out; if the final day of occupancy falls on a weekend, they must vacate by the end of the following Monday. Can a Landlord Break a Lease to Move Back Into the Property? A landlord can’t tempt to evict a tenant with a three-day notice for exercising a legal right, which includes withholding portions of rent to cover the cost of repairs, complaining about the condition of the unit to a public agency, filing a lawsuit against a landlord or taking other legal action against the landlord. If a tenant proves that he has paid his rent and performed one of the protected actions in the prior six months, the termination of the lease may be found to be retaliatory and disallowed by California law.